On Tuesday, Hublot gathered 300 VIP guests, including ambassadors, friends of the brand and journalists in Nyon, Switzerland, to inaugurate the opening of Hublot 2, the brand’s second and largest manufacturing building. 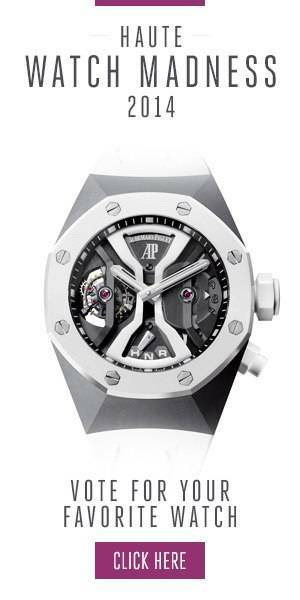 The project, launched almost three years ago, is a response to the growing demand for Hublot watches around the world. To keep up with it, the brand has decided to add 8,000 m2 of manufacturing surface, which will house more than 100 new workstations and take the workforce of the company above 400 people. Jean Claude Biver, Lapo Elkann, Pele, and Ricardo Guadalupe. According to Hublot the project represents an investment of 20 million Swiss francs, a staggering amount as questions are raised about the advance of smart watches both in the tech world and in the Swiss watch industry, and as demand for Swiss watches seems to be slowing down. Ricardo Guadalupe Daniella Rahme, and Marco Tedeschi showing their Hublot watches. However, Mr. Jean-Claude Biver, Chairman of Hublot and President of the LVMH Group’s Watch Division, was quick to remind everyone that Hublot is currently putting up double-digit growth in the year 2015. Jean Claude Biver, Pele, and Lapo Elkann playing football before the ribon-cutting ceremony. Ricardo Guadalupe, CEO of Hublot and brand ambassadors Bar Refaeli, Lapo Elkann and Pelé joined him on stage. to celebrate the brand’s latest milestone, after a friendly penalty shoot-out with the King of football. Mr. Guadalupe, who was present when Hublot opened its first manufacturing building, just 6 years ago, across the train tracks that currently run between it and Hublot 2, added some perspective to the immense occasion, not just for Hublot, but for the Swiss watch industry as a whole. Pele, Bar Refaeli, and Lapo Elkann help launch Hublot 2 . The Innovations, Research & Development department, whose activity is mainly focused on new materials and very complicated movements, will remain in H1 but enjoy extra space, while Hublot 2 will focus on making components for in-house movements as well as cases. First look inside the Hublot 2 Manufacture. The case of Hublot’s LaFerrari wristwatch will be made in the new manufacturing building. Hublot 2 will also serve as the new home for the after-sales service and part of the administrative department. The brand’s in-house movements will also be made in the new site. Pele And Bar Rafaeli Ribon Cutting. The case of Hublot's LaFerrari wristwatch will be made in the new manufacturing building. The brand's in-house movements will also be made in the new site. Photo Credit: Haute Time. For more information, please visit the official Hublot website. Follow Haute Time on Instagram to catch all of the new releases as they happen.